UNAVCO, in collaboration with the Puerto Rico NASA Space Grant Program and the University of Puerto Rico in Mayagüez, held an educator’s workshop entitled “Introducing GPS and its Applications in Earth Science to Educators of Puerto Rico” on September 27, 2008 in Mayagüez, Puerto Rico. The workshop was presented in both Spanish and English, which was a first for UNAVCO. The workshop covered the geophysics of Puerto Rico and surrounding areas, geologic hazards, basic space geodesy, high-precision GPS and its applications to plate tectonics, volcanoes, and earthquakes, interpreting high-precision GPS plots, regional plate velocities, and how to access UNAVCO resources. Many of the materials, such as student worksheets and lesson plans, are now available in Spanish and English, and can be found here. The course was taught by Dr. Susan Eriksson of UNAVCO, Dr. Audeliz Matias of Empire State College, and the PI’s of the NASA grant which funded this project (Dr. Guoquan Wang, Dr. Christa von Hillebrandt and Dr. Jose Martinez, all of the University of Puerto Rico in Mayagüez). Past and upcoming workshops can be found here, as well as links to UNAVCO’s educational materials. UNAVCO Education and Outreach now has a blog, which is the place to go if you have questions about our educational materials, and to learn about our newest products. The blog can be found here. 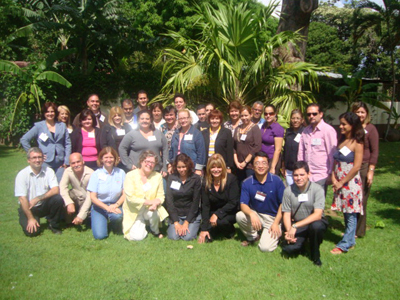 Figure 1 - Participants in the recent UNAVCO educators workshop in Mayagüez, Puerto Rico. Figure 2 - UNAVCO permanent GPS stations on the island of Puerto Rico.